After a couple of not so great visits to the dentist we’re working on cutting out unnecessary sugar from our diet. So far that’s going well, and my girls are on board. But have you noticed alllll the candy that comes home around the holidays? I know you have! We’re finding creative ways to put some of it to use. 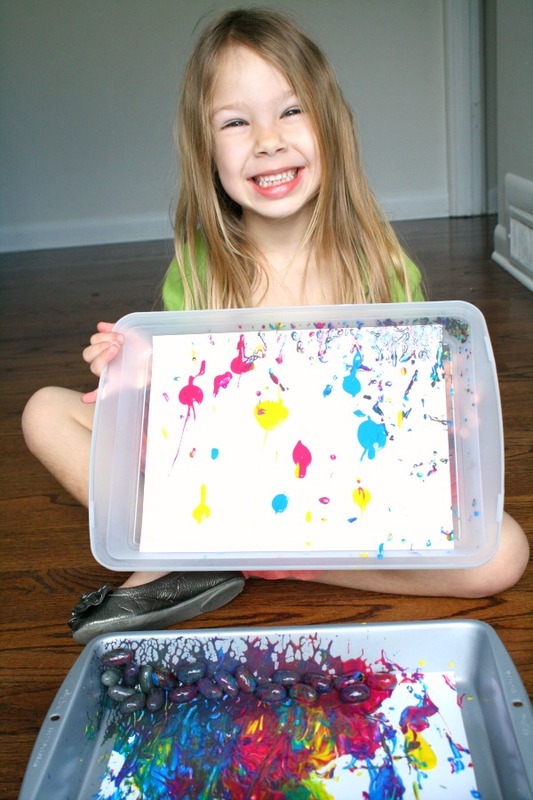 By using it for fun activities like this Jumping Jelly Bean Painting, the girls aren’t quite as sad about not eating it and it doesn’t go to waste. 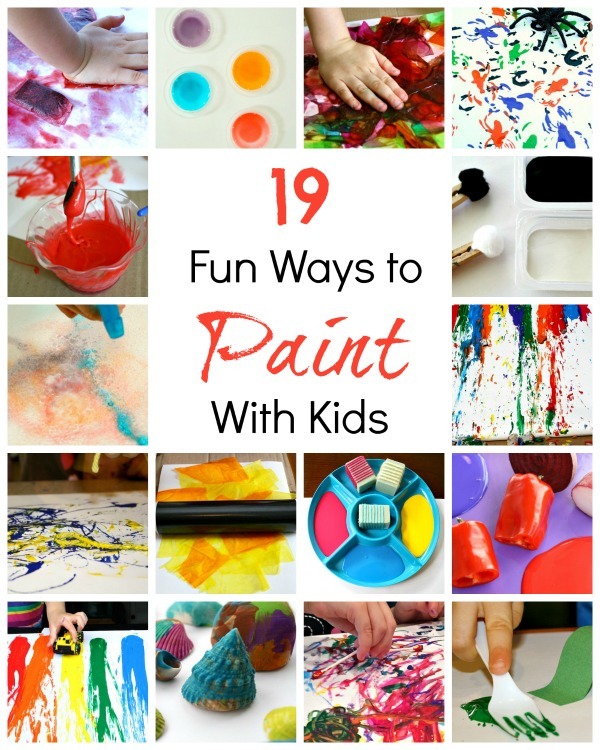 In the past we’ve shared a lot of creative ways to paint, and I’ve had the idea for jumping jelly bean painting on my “that’d be fun to do list” for quite some time. We finally had the chance to give it a try. 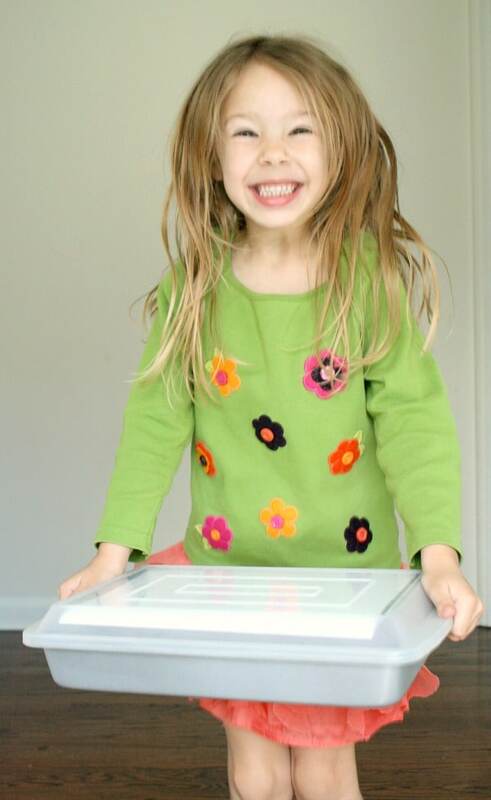 We started by taping a piece of paper on the bottom and the top of a baking pan with a cover that clasps shut. 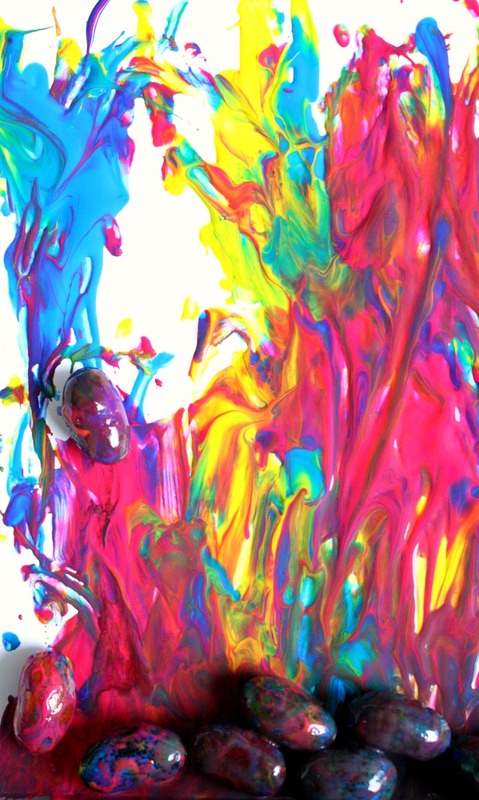 Then Tinker dropped dots of tempera paint randomly on the paper in both the pan and the lid. 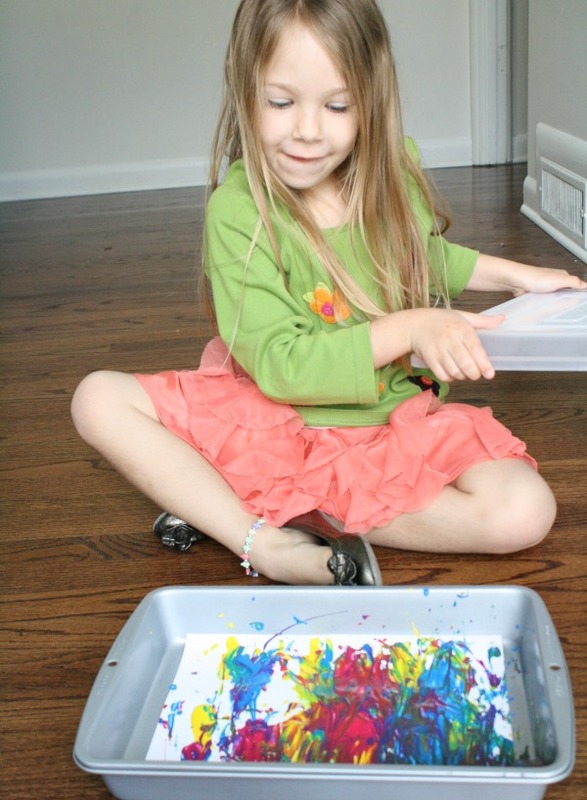 Finally she sprinkled some jelly beans into the pan and sealed it shut with the lid. Then it’s time for some fun! Get up and jump away. Make this silly by making up your own jumping song like “Jump, jump, jump-ing jelly beans” (to the tune of Shake My Sillies Out). Or try jumping really fast and then really slow. Then get ready for the big reveal. 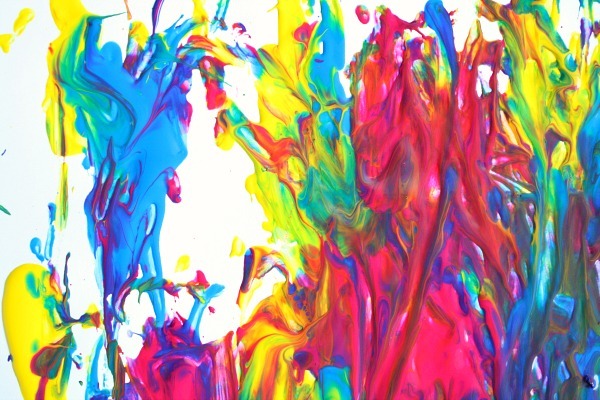 This is one of my favorite parts of “surprise” painting activities. I love seeing kids’ faces as they open the container and see what they created. 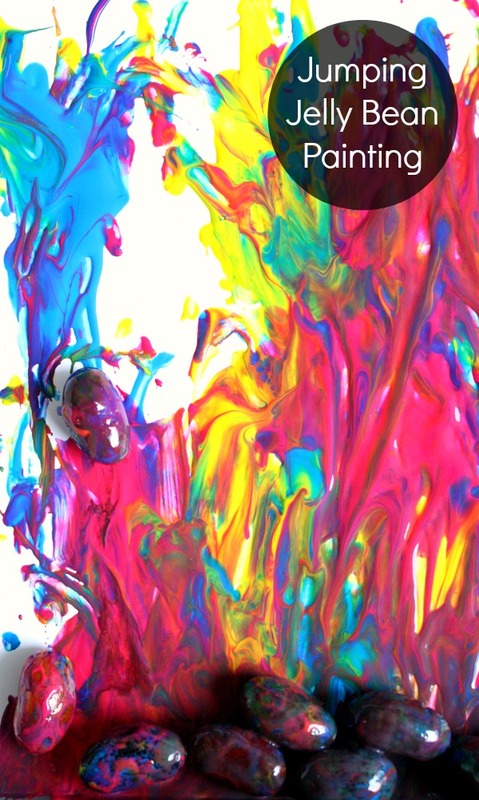 Tinker loved examining where the colors mixed together and the beautiful rainbow that emerged in her art. 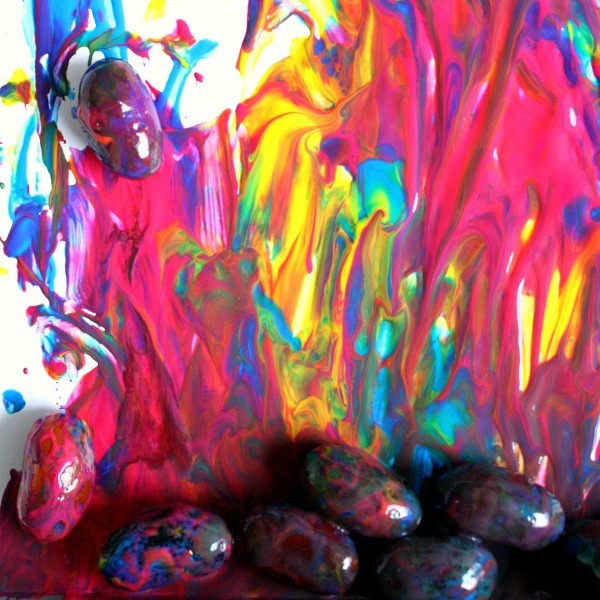 She also liked looking closely at the jelly beans to see the marbled rainbow effect on them. 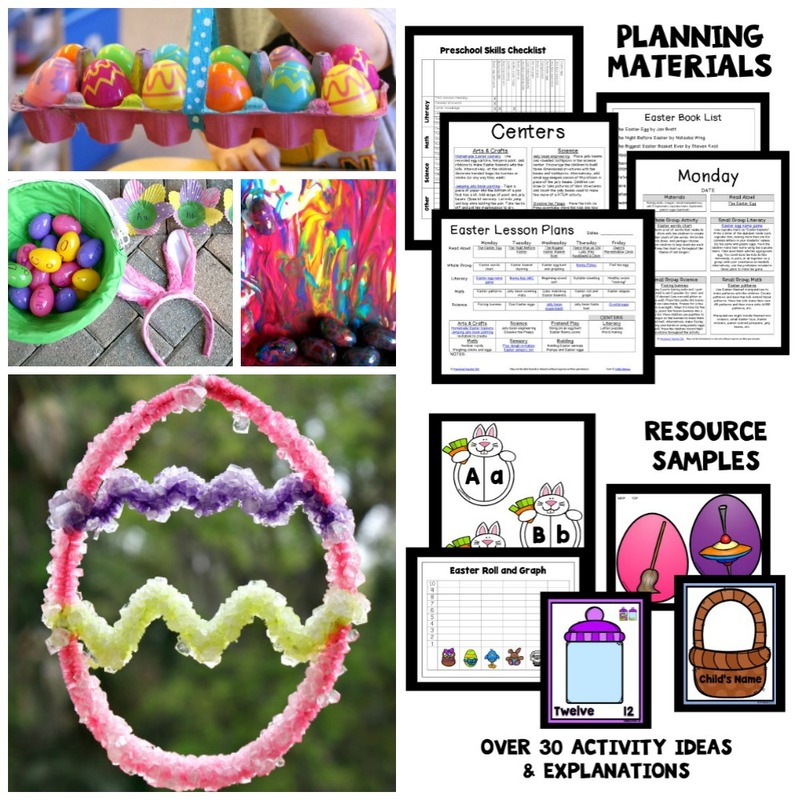 What do you do with all of that holiday candy? 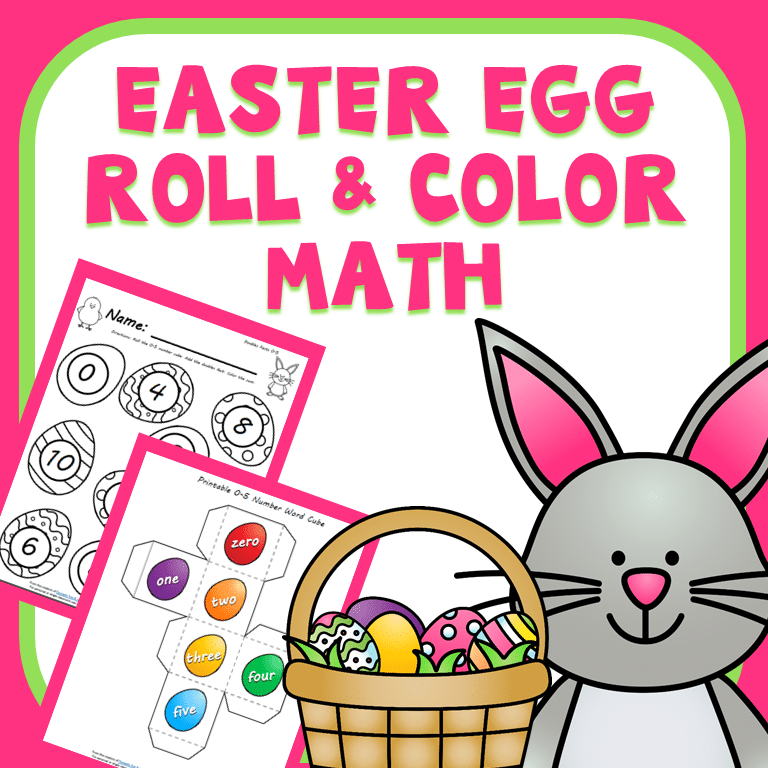 Get hands-on math fun with our 29-page roll and color Easter egg math set. 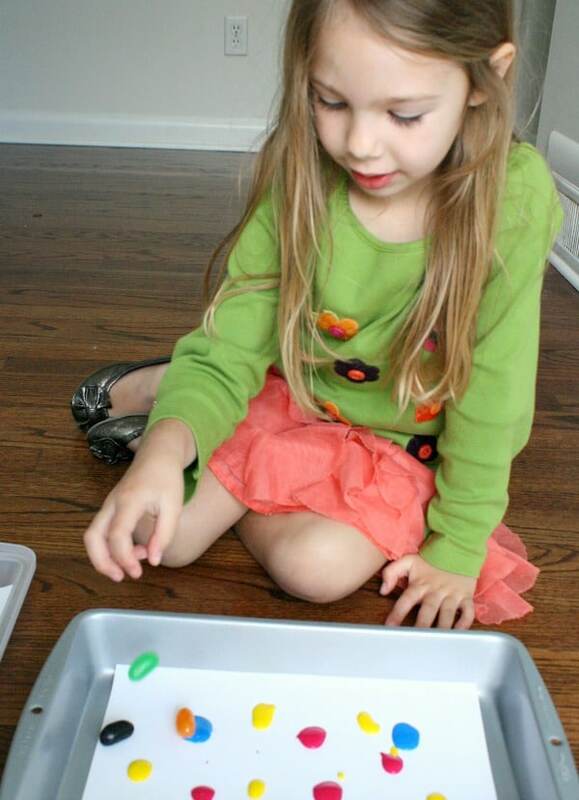 Practice early math skills with these fun games kids love.